In December 2018, Survival International began receiving disturbing reports from the Nduga region of West Papua. 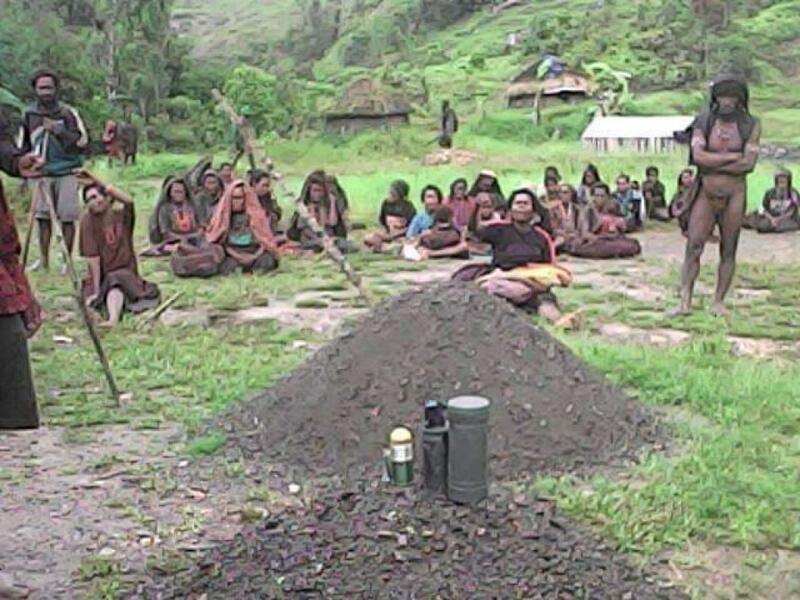 Church leaders were saying that congregations from 34 churches in the Papuan highlands were missing. A violent military operation by the Indonesian army had forced scores of innocent men, women and children to flee their villages in fear of their lives and seek shelter deep in the forest. Military operations are frequent in West Papua where soldiers and police kill and torture with impunity. 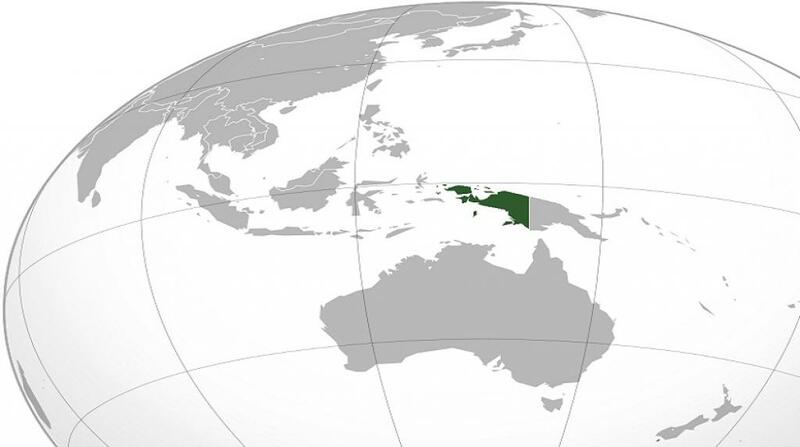 West Papua is the western half of the island of New Guinea, colonised and governed by Indonesia, and distinct from the independent country of Papua New Guinea. The indigenous Papuan peoples under Indonesian occupation have endured extraordinary suffering and oppression since Indonesia took control in 1963. Papua’s tribal people are Melanesians: ethnically, culturally and linguistically distinct from the Malay Indonesians who rule them from Jakarta. The government represses political dissent and attempts to “Indonesianize” Papuans, destroying not only lives but also the astonishing cultural and linguistic diversity of more than 300 different tribes. The highland tribes live by shifting cultivation and hunting; they also keep pigs. During military raids they are too frightened to go to their vegetable gardens or to hunt. According to an independent investigation by Papua’s churches, during a similar military operation in 1998, at least 111 people died from hunger and disease in three villages alone and women and girls as young as three years old were systematically raped and gang-raped. In the December 2018 attacks, soldiers were searching for militants from the West Papua National Liberation Army (TPNPB), an armed group fighting for West Papua’s independence from Indonesia. The militants had killed an estimated 19 road construction workers in December, believing them to be Indonesian soldiers. In such cases, Indonesian military operations to track down perpetrators disproportionately victimise innocent civilians, who are terrorised, abused, and killed. Even those who escape the army are not safe. Vulnerable villagers, especially the very old or very young, die from exposure and hunger while hiding in the forest. Despite horrific evidence from the tribes themselves and the appalling history of Indonesian violence and human rights abuses, it has not yet been possible for the alleged use of chemical weapons to be independently verified. International journalists, humanitarian organisations and human rights observers are denied free and open access to West Papua. Survival and other organisations are calling for a halt to the violent and indiscriminate military operation in the Nduga region and for independent investigators, including international weapons inspectors, to be allowed into the area to investigate the alleged use of white phosphorus and other abuses of the civilian population. As well as the military operations in the highlands, Indonesia’s security forces are brutally repressing peaceful political dissent. In 2018, on December 1, the date commemorated by many as “Papuan Independence Day,” more than 500 peaceful protestors were arrested in cities across Indonesia. On December 31, the Indonesian police and military violently broke up a meeting of the West Papua National Committee (Komite Nasional Papua Barat–KNPB), a non-violent Papuan peoples’ organisation calling for a referendum on the independence of West Papua. More than one hundred police and soldiers stormed and then destroyed KNPB’s office. Nine members of KNPB were arrested and beaten; three have been detained and charged with treason. West Papuans have described what is happening to them as a ‘silent genocide.’ Its invisibility is, in no small part, due to the restrictions on journalists and the repression of peaceful organisations. The abuse of the Papuan peoples by the Indonesian government is one of the worst atrocities of our times. Papuan voices must be heard; Papuans brave enough to speak out must be protected and the international community must expose and stop the human rights violations that are happening there.